Financially-wise, high-speed transportation has been currently consolidated as the most profitable of all the services which integrate the railway sector at a global level, specially in Spain where this type of service is experiencing relevant growth in accordance with the infrastructure investments that have taken place in the last decade. Back in 2011, Renfe’s high-speed commercial services (flagship company of the Spanish railway sector) transported little over twenty million passengers; nowadays -barely seven years later- that number surpasses the thirty-five million mark. 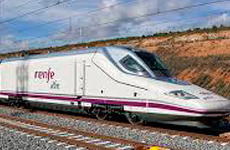 In order to consolidate our actual position in the passenger transport market and as regards the imminent liberalization of this sector at an European level, Renfe has decided to direct its different commercial strategies to its clients and their necessities, making the passengers the focus of its business vision and the essential reference framework for all the activity areas of the company, developing its trade policy from a service segmentation strategy towards the customization and using new technologies and the profound knowledge of the client CRM provides as tools.